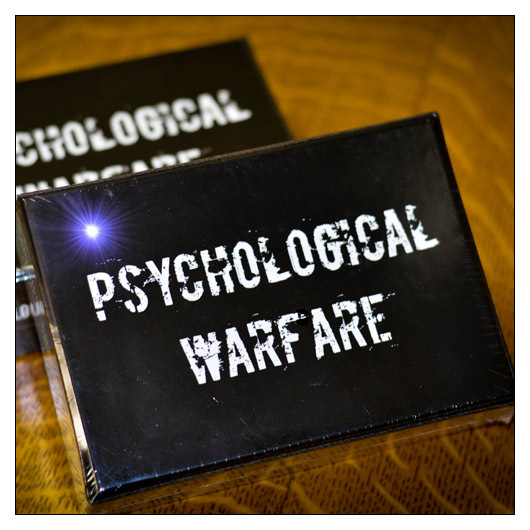 Psychological Warfare Card Game (DPHPSYCH) at Pure Design / Accessories / Home Entertainment ::: Furniture for the Home, Office, Home Office, and More at Pure Design Online! All games incorporate psychology, this one takes it head on. You will be using Backhanded Compliments, Clever Insults, Paranoia, Stress and Phobias to manipulate scores in a direction that you choose. It has twists and multiple tactics, counter-actions that keep the game fresh and replay-able. Includes 93 Playing Cards, 8 Scoring Cards, 8 Archetype Cards, 2 Play Order/Neurosis Effects Cards, and 20 Scoring Tokens. A funny game with cool mechanics, the game pulls from most every psychological theory. Choose to play one of eight different Archetypes. Each turn involves balancing a number of key factors.